Germination Performs best in partial to full shade woodland setting. 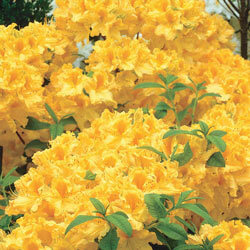 Plant 2-3" deep and approximately 3-5" apart. 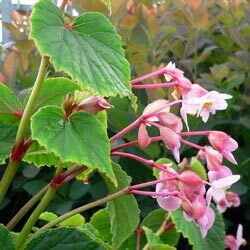 Foliage Type: Thick, shiny, fleshy, triangular to heart-shaped, mid-green leaves with prominent red veins on the undersides. Flower Form: Large, pendulous sprays, up to 12" long, of individual deep rosy pink flowers. 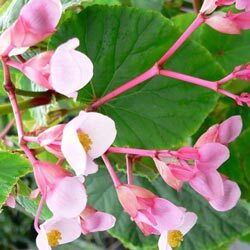 Planting Instructions: Prefers a lightly shaded area, sheltered from strong winds. Set plant at the same level it is growing at in the container, firm soil and water thoroughly. Soil Requirements: Well-drained, moisture retentive, richly organic soil. Never allow plant to dry out during the growing season. Winter Care: Apply organic mulch in cooler zones.